For three weeks from November 23rd till December 15th artist-run art residency MoKS (Mooste, Estonia) hosts a “Black Holes” creative workshop, organized by art centre “Totaldobže” from Riga, Latvia. During MoKS meeting the audience will have a possibility to get a look on “Totaldobže” history, project “Black Holes” and the first direct feedback from participants of the workshop about the working process in MoKS during the first week. The project “Black Holes” is run by “Totaldobže” Art centre since 2012 and it specifies four kind of regular activities: improvisations, combined concerts, laboratory of perception and creative workshops. 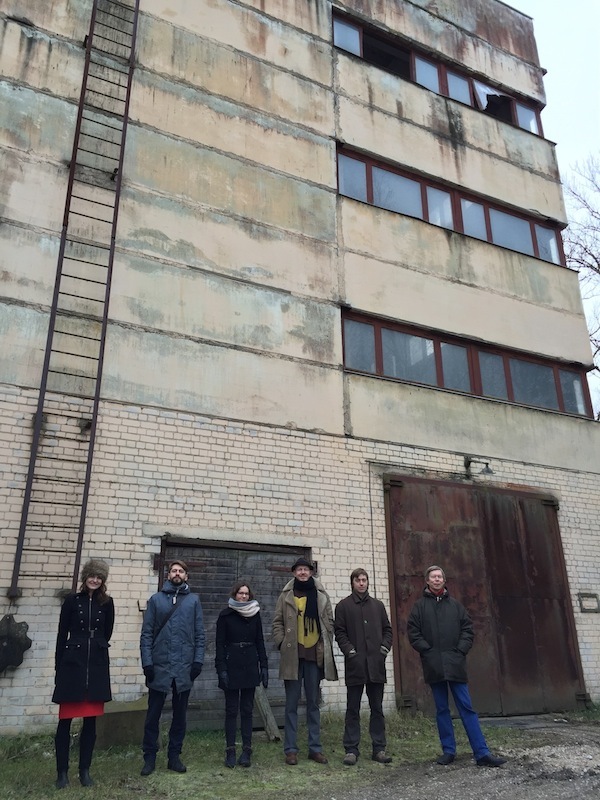 In 2013 “Totaldobže” art centre have left its birth location and continues to organise activities in other venues also developing a new collaborations not only in Riga, but outside Latvia too. The “Black Holes” creative workshops foresee the collaboration during artistic experiments using existing experience and steping beyond the comfort zones between artists from different disciplines. Here the process of collaborative art creation as a source of learning, inspiration, exchange of experience from different artistic and cultural backgrounds is more important than the outcome in form of art work itself, however it is not excluding the possibility of further collaboration in order to develope a new art works. The possible outcome of current workshop is new ideas for new art works and a concept of the audiovisual exhibition in Linen Mill in Mooste in July 2016. The “Black Holes” creative workshop in MoKS is supported by Latvian Culture Capital Foundation, Kulturkontakt Nord (Nordic-Baltic mobility programme, support for Artist Residencies), Estonian Ministry of Culture. Series of MoKS meetings in 2015 is supported by Estonian Cultural Endowment. Big thanks to Tartu Kunstimaja and Indrek Grigor!